Life in New York City can be, as countless ’90s sitcoms have taught us, a little crazy. However, often that insanity goes from whimsical (“I watched a pigeon eat a full gyro!”) to mind numbing tragedies (“Please, just let me witness a human smile again”). But rather than discount NYC as a failed experiment to see how much angst you can fit into a concrete terrarium, allow us to give you some places to go when you need a breather in the middle of your busy city day. Need to smell a flower on your break? 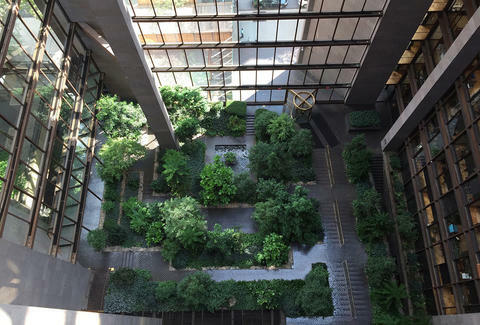 If you need to get a quick whiff of photosynthesis, the Ford Foundation Atrium, located a few blocks from the United Nations, is basically a greenhouse that you can sit down in and peruse without having to worry about knocking someone’s potted shrub over. Take a second there to relax and remember that, even if NYC is nothing like the stretches of green that you knew from Georgia, there are still comfortable places in NYC that can help turn it into your home. Need a bar that lets you actually enjoy the city? When people tell you about a great new bar that really helps you to “experience” NYC, what they usually mean is "Experience the back of someone’s head as you wait for twenty minutes to get your vodka soda.” Bars in NYC can be a calamity, and even rooftop bars, which are meant to display the beauty of the city skyline, are rarely high up enough to show you anything other than the beauty of the adjacent building’s 13th floor fire escape. It’s enough to make you wish for another Prohibition era. Need a dog park that’s more than just a patch of grass? Anybody that says there aren’t a ton of dog parks in New York is lying. However, what no one mentioned was the fact that most of the dog parks are small patches of mulch that either fit three small dogs, or half of a normal-sized dog. So it’s hard to know where to go when your puppy needs some exercise. 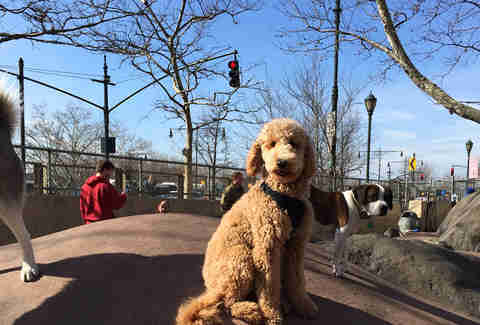 But if you’re in Manhattan and figure that a walk amongst the traffic might not be what your pet’s workout regime requires, check out Chelsea Waterside Park. Not only is there a decent amount of space, but there are also tons of man-made rock areas for your dog to wear herself out. It’s the best thing you can do to beef up your dog’s stamina outside of releasing her into the Adirondacks. Need a quiet place for downtime after work? NYC is famous for its museums and libraries and art galleries, and the “No Food or Drink” signs outside of all of them that forces you to eat your hot dog faster than you wanted to. And while, on paper, all of these places sound like calm experiences, they’re often anything but. The National History Museum has an amazing dinosaur skeleton exhibit, but you have to navigate scores of yelling people in order to enjoy it. You’re trying to absorb some paleontology knowledge and the guy next to you is shoving you out of the way to get a prime Allosaur selfie. That’s why the Morgan Library & Museum is such a breath of fresh air. The exhibits are of the quieter sort, which means that it’s a perfect place to recompose yourself after a long day of work before you meet your friends for drinks. The Natural History Museum might have some mummies, but the Morgan Library & Museum has a retrospective of Emily Dickinson, and only one of those isn’t filled with screaming children trying to manhandle the exhibits. It’s the perfect contemplative stop. Need a reminder of the outside world? Nowadays, the wildlife of Brooklyn is primarily dogs and strollers. And when you ask most people where you can go to see something a tad more exotic throughout the boroughs, they mostly point you in the direction of the Bronx Zoo, which is nice, but is also, statistically, a three day subway ride from Ditmas Avenue. And usually you can’t wait that long to get your fix of sea lion training or red panda hijinks. But don’t pull up those cute animal videos just yet (or do). 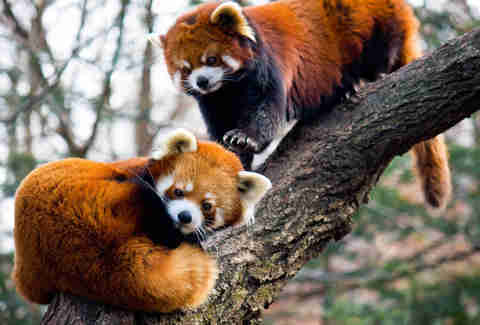 Go to the Prospect Park Zoo, which is located in the Northeast region of Prospect Park. They have otters, dingos, and prairie dogs, among other animals. Basically, they have an entire National Geographic documentary’s worth of adorable critters, but at a small enough scale that you can tackle it in half a day. Need a reminder Queens is a rich outer borough? It’s a common joke in NYC that Queens is where you go when your Brooklyn options never manifest. Well, that’s some malarkey, because Queens has the greatest monument to modern media that NYC has to offer: The Museum of the Moving Image. Not only is it a cool place to spend an hour or two, and a great place to catch a foreign, rare, or classic flick, but it also helps you bone up on your cinema knowledge. You might have been the only one that could recite all the dialogue from The Seventh Seal in your hometown, but you could throw a rock and find someone else in NYC who also nails the inflections. This city can take you from feeling like Kubrick and Kurosawa to feeling like Bay and Boll. But the Museum of Moving Image will renew your faith in your inner cinephile and release you back into the world, ready to argue about Antonioni with any stranger that wants a piece. Need NYC’s version of the Four Corners? In a small town, you can ask someone to meet you in a certain section, and you can both find your way there easily. In NYC, you don’t only have to identify which section, but which section of which section. It’s hard to find a centralized location to do anything, so you’re often stuck hoping that your friends happen to be within the same five-block radius as you. Petrosino Square, named after famed police officer Lt. Joseph Petrosino, is situated in a busy but oddly picturesque crossroads where multiple neighborhoods convene. It’s northwest of Little Italy (although technically in NoLita) and the Bowery, it sits just above Chinatown, and hangs just under SoHo. If you’re in any of those areas and you want to meet a pal for lunch or just have a midday people-watching session (“Ooh, look at that one. The crest-haired business bro out in his natural habitat”), Petrosino Square is a wonderful place to choose as your mutual destination. Need to nab a lunch in a hidden location? In NYC, there’s nothing like discovering a little oasis in the middle of everything. Usually, these come in the form of tiny parks that seem to have sprouted out of nowhere in between construction and crosswalks. And sometimes, they come in the form of a hidden patch of peace inside of what looks like a typical building. Whether you need to take a second and compose yourself, have lunch, or just read a chapter of a book before you go back to work, the Crystal Pavilion is almost abnormally pleasant. It’s never too crowded, but there’s always just enough people that it doesn’t feel eerie. And you can go to it at any time between 8 and 7, Monday through Friday. So, no, you can’t sleep there. But it’s the silent, secret spot in NYC that you dream of, and that’s as good as you’re going to get in a city that never sleeps.